Thirty years to the day of winning their last World Series in franchise history, the Los Angeles Dodgers punched their ticket to the Fall Classic for a second consecutive season by defeating the Milwaukee Brewers, 5-1, in Game 7 of the National League Championship Series. 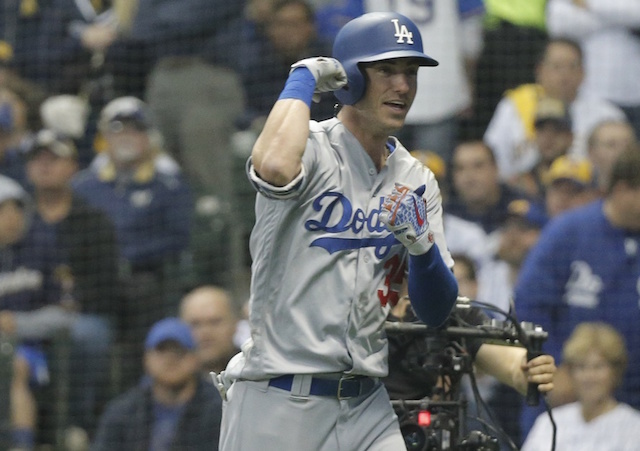 While the Brewers were first to strike — on Christian Yelich’s solo home run in the bottom of the first inning — Walker Buehler and a slew of relief pitchers blanked them from that point forward. Buehler wasn’t overly sharp but he nonetheless recorded seven strikeouts over 4.2 innings. Julio Urias, Ryan Madson, Kenley Jansen and Clayton Kershaw pieced the game together from there to wrap up the victory. Urias’ appearance meant pitching on back-to-back days for the first time in his young Major League career. Moreover, he was thrown into the fire as he inherited a runner at second base and was tasked with facing Yelich. With what may have saved the Dodgers’ season, Chris Taylor made a terrific sliding catch on the warning track in left-center field to rob Yelich what would’ve been a game-tying extra-base hit at the time. Kenley Jansen entered with two outs in the seventh and remained in the game to get through the top of the Brewers’ lineup in the eight inning. For Kershaw, who tossed a perfect ninth to convert his second career save, the work came on his between-starts bullpen day. The Dodgers were in position to utilize their bullpen in such a manner because of quickly answering back to the Brewers taking a lead. What appeared to be an oddity immediately paid off as after Manny Machado reached on a bunt single, with two strikes no less, Cody Bellinger tagged Jhoulys Chacín for a go-ahead two-run home run. The two-strike bunt was a first for Machado in his career, and the home run was Bellinger’s first this postseason. Because the Dodgers jumped out ahead, Brewers manager Craig Counsell’s hand was forced into calling on reliever extraordinaire Josh Hader after just two innings from Chacín. 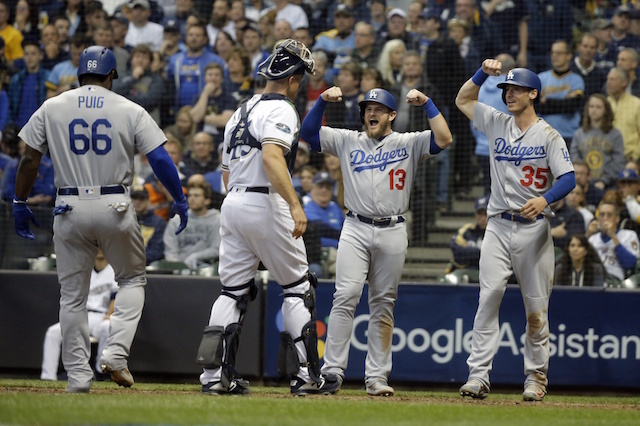 Hader answered the bell by striking out four and holding the Dodgers to one hit over three innings, keeping the Brewers’ deficit at 2-1. Xavier Cedeño allowed a leadoff single to Max Muncy in the sixth and was promptly removed with that being the only batter faced. In line with some of his other NLCS appearances, Jeremy Jeffress failed to be effective. His first pitch was lined into center field by Justin Turner for a base hit, and two batters later Yasiel Puig broke the game open with a three-run home run.